Pokémon Go Nests: When they migrate and how to find them! The next Pokémon Go Nest Migration happens October 17 at 5 p.m. PDT / 8 p.m. EDT. Here's what you need to know! "Nests" are spawn points where the same Pokémon pop up regular and in number. 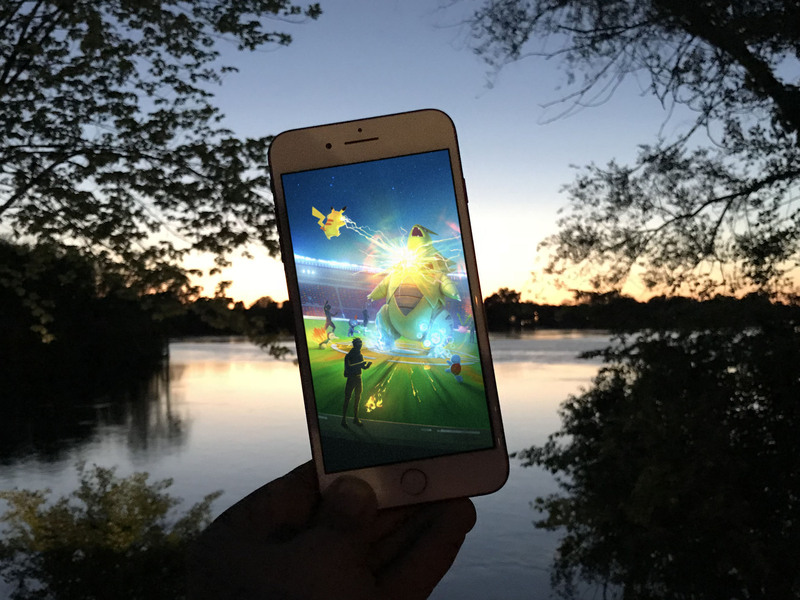 While spawn points can be anywhere, nests tend to be around PokéStops or Gyms — or several PokéStops and Gyms within a park. Also, while things like water spawns tend to stay the same, month after month, nest migrate every two weeks. Here's what you need to know! Why should you care about Pokémon nests? If you need specific Pokémon or type of Pokémon to complete a Field Research task, like Ghost-types for the Mew quest or Grass- or Psychic-types for Celebi, it's much more efficient to find a nest than to rely on random chance. If you're trying to find the latest Shiny, like Houndour or Growlith, it's far easier to Shiny-check at far higher volume at a nest than at random spawn-points. If you need a specific Pokémon to add to your Pokédex, or fight Raid Bosses, going to a place that Pokémon nests vastly increases your odds of finding one (or more). If you need candy from a specific Pokémon to evolve it or power it up, going to a nest gives you the chance to regularly catch them in greater quantities than random spawns would ever allow. If you're trying to catch enough of a specific type of Pokémon to get your medals, be it Hiker or Fairytale Girl, nests can help you get closer to your goal — and gold! In other words, if you need Pokémon, finding a nest with the Pokémon you need is your best shot at getting them. Which are the most important nests to find? There are a few Pokémon that stand above the rest when it comes to fighting in Gyms, in Raid battles, or simply getting enough candy for next-generation evolutions. Machop to get 125 candies and evolve to Machoke and then Machamp — counters all the Normal- and Dark-types, including Blissey, Chansey, Snorlax, Slacking, Tyranitar, and many of the Raid Bosses, including Legendaries. Exeggute to get 50 candies and evolve Exeggutor — counters Water- and Ground-types. Electabuzz to evolve into Electivire. ** Magmar** to evolve into Magmortar. Duskull to evolve into Dusknoir. Are there any lists of all the spawn points and nests? Yup! The Sliph Road maintains the most popular crowd-sourced nest atlas on the web. If you consider crowdsourcing to be outside the bounds of fair play, you can find most of your local nests on your own simply by keeping track of any out-of-the-ordinary spawns. Most people consider it perfectly within the spirit of the game, simply more efficient than yelling about new nests from a variety of different places. Any cluster spawns of 2 or more Pokémon of the same kind at the same time and any repeated spawns of the same Pokémon over a few days are indicators you've found a nest. Just keep notes if you need to. Are the Pokémon at spawn points and nests always the same? They're the same for two weeks, then they change. Known and "migrations", the changes occur on alternate Thursdays at 12 a.m. UTC. (4 p.m. PST / 7 p.m. EST or 5 p.m. PDT / 8 p.m. PDT). So, over the course of a few months, your Charmander nest might become Slowpoke, Charmander again, Diglett, Drowzee, Paras, then Growlithe, and so on. Nest migrations are seemingly random, so if you get one you need, hit it as often as you can in those two weeks. Conversely, if a close by nest is useless, just wait a couple weeks and it'll change. Can more than one type of Pokémon spawn from the same point? Most nests only spawn one Pokémon type, or one interesting type along with some commons like Pidgey, Rattata, Sentrat, and Hoothoot. That's different from something like a water spawn, where Staryu, Slowpoke, Polywag, Psyduck, and Magikarp often all spawn all together. Do all Pokémon have nests? Sadly, no. Typically Pokémon that hatch from 10 KM eggs and those that are otherwise ultra rare do not spawn. That includes babies, evolved forms, regionals, and Legendary Pokémon. What about water-spawns for Dratini, Feebas and the like? Dratini haven't nested since the very first weeks of the game. Feebas have never nested. But, they can be found, albeit rarely, at water spawns. If you have a local water spawn or several that gets frequent and multiple Magikarp, odds are you'll get infrequent Dratini as well. Same with Feebas. That includes PokéStops and cluster spawns near docks, piers, along rivers and lakes, etc. To get the candidates and candies for Tyranitar, Salamence, and Metagross is even more difficult right now. Larvitar are incredibly rare but you can get Tyranitar from Tier 4 Raid battles. Just grab some friends, some fighter-type Pokémom, and go beat and catch them. For Beldum and Bagon, watch for the right weather. Beldum will get boosted in the snow, Bagon in the wind. Ditto — a little help? Ditto can transform into other Pokémon and, so far, he's only being encountered in the wild in his transformed state. That means you can't see Ditto on Nearby or Sightings, and you won't know if he's spawned right next to you — you'll just see a Rattata, Pidgey, Magikarp, or Zubat with no visual or audible clue that they're anything other than they seem... until you catch them. It's only then you'll be greeted with an "Oh?" instead of a "Gotcha!" and he'll be revealed as Ditto. Unown — do you know?! Unown is one of the rarest and hardest to find Pokémon in Pokémon Go Gen 2. Scratch that. Unown is one of TWENTY SIX of the rarest and hardest to find Pokémon in Pokémon Go — period. That's because it doesn't spawn very often in most areas and, when it does, it can manifest as any one of the 26 forms, stylized after the letters of the alphabet, from A to Z. So, how do you catch 'em all? Can nests ever go away? It's hard to tell. Some PokéStops and Gyms don't see to ever spawn at all. Other times nests just get taken over by incredibly common Pokémon for two weeks, like Caterpie or Krabby, and can seem like they went away. The best thing to do is wait a couple weeks and check again. Okay, once you find the nest you need, how do you catch the stubborn Pokémon that spawn there? Some Pokémon are considerably harder to catch than others. Sometimes it's because they've got a low catch rate or high flee rate. Sometimes it's their level. Sometimes it's because you're not stacking all the bonuses you could be. And sometimes it's because they're so rare you freak out and forget how to maximize your chances. Your Pokémon Go nest tips and questions? If you have any tips on finding and using nests, let me know! If you have any questions on nests and spawns, drop them in the comments below!